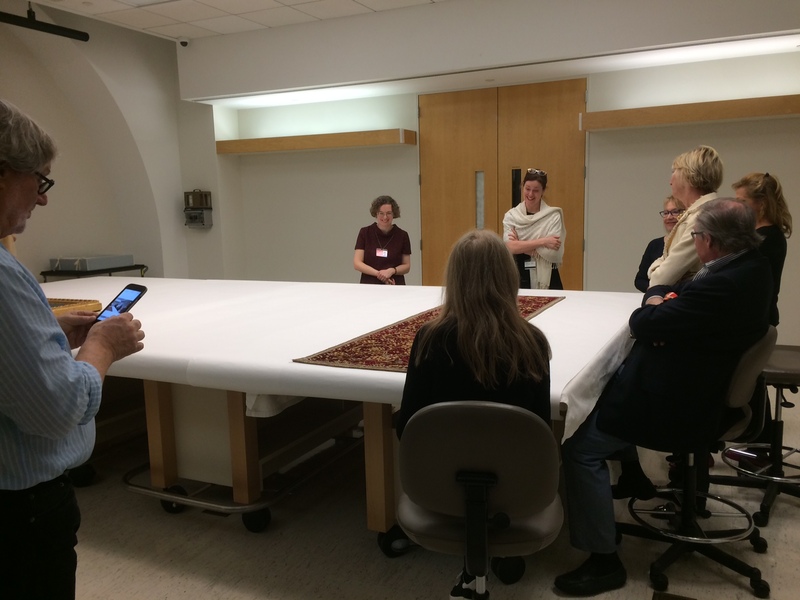 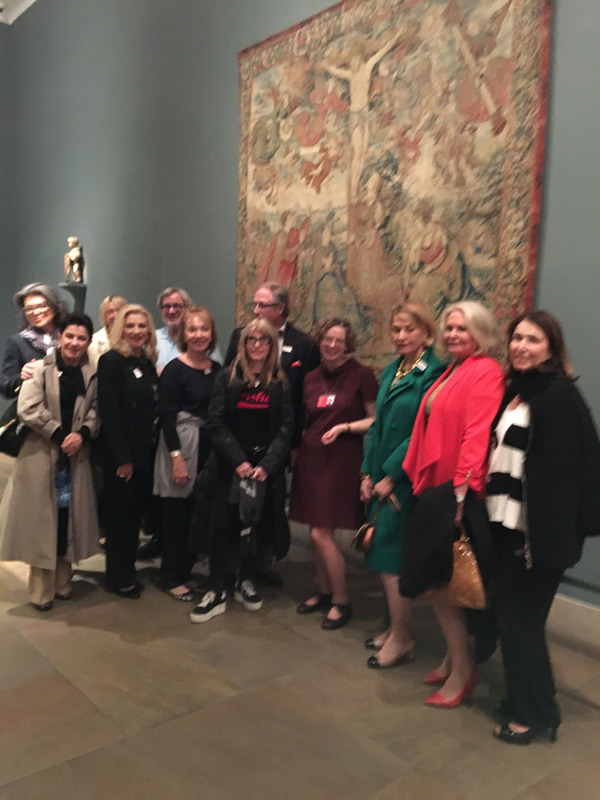 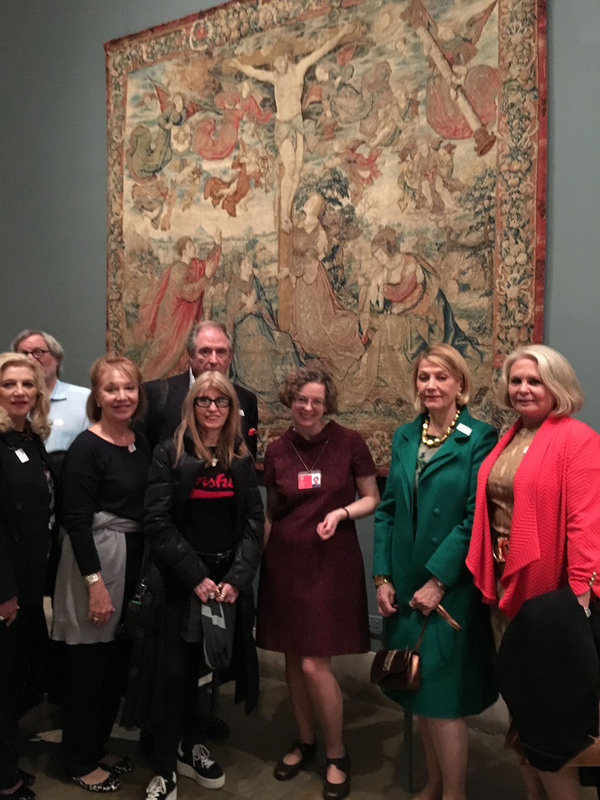 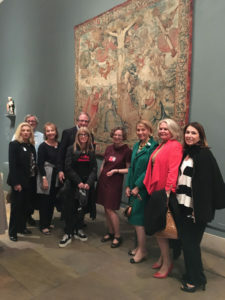 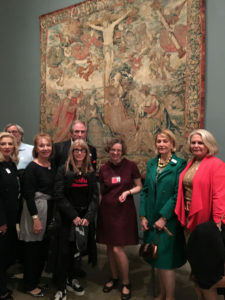 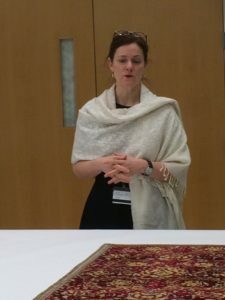 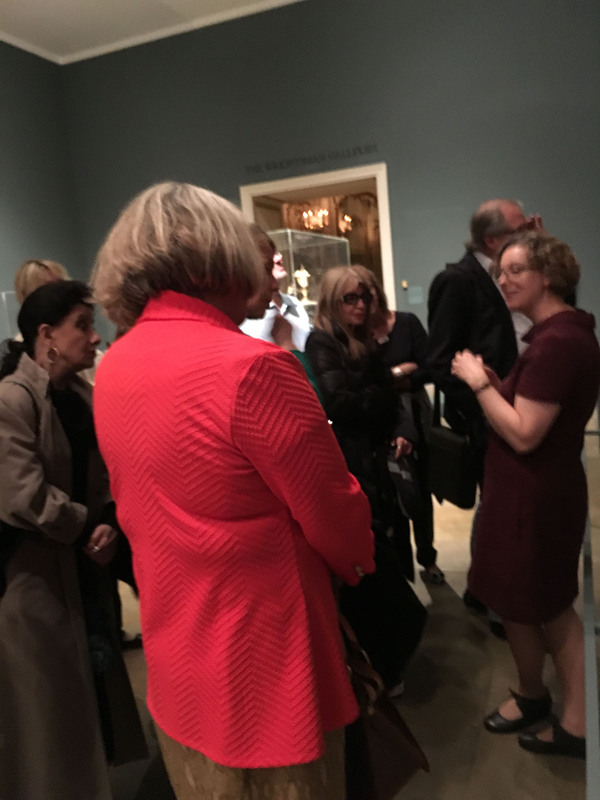 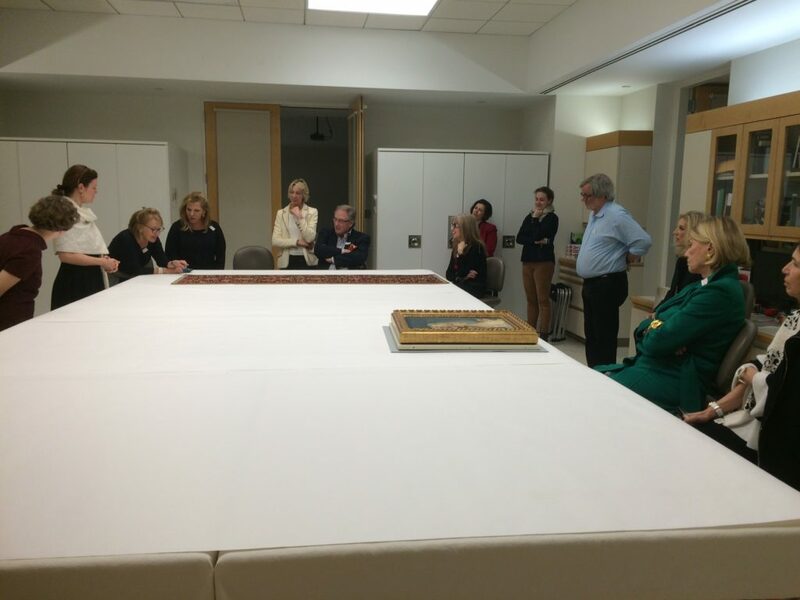 Elizabeth Cleland, Associate Curator, invited a small group to The Metropolitan Museum of Art where she showed Renaissance Tapestries exhibited in the museum highlighting techniques and compositional styles. 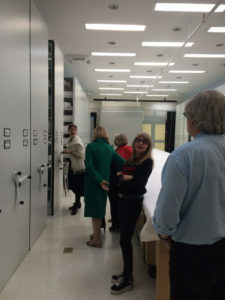 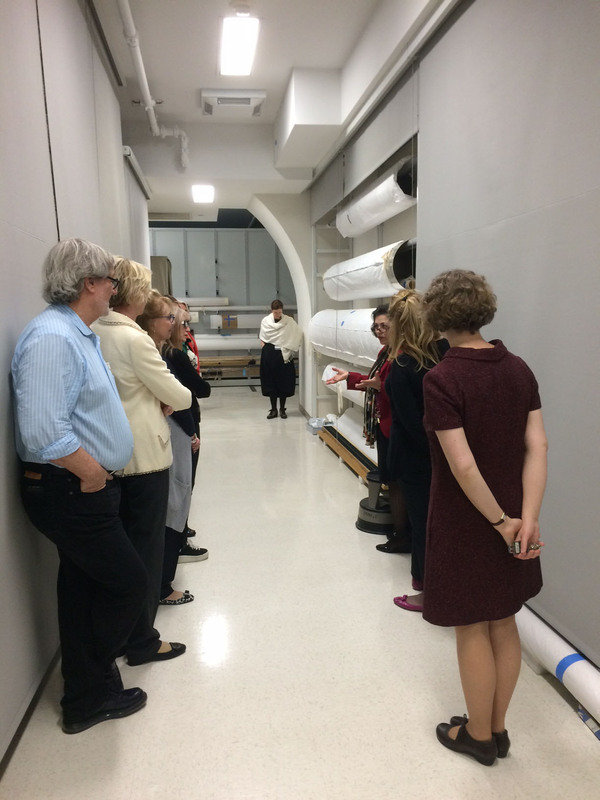 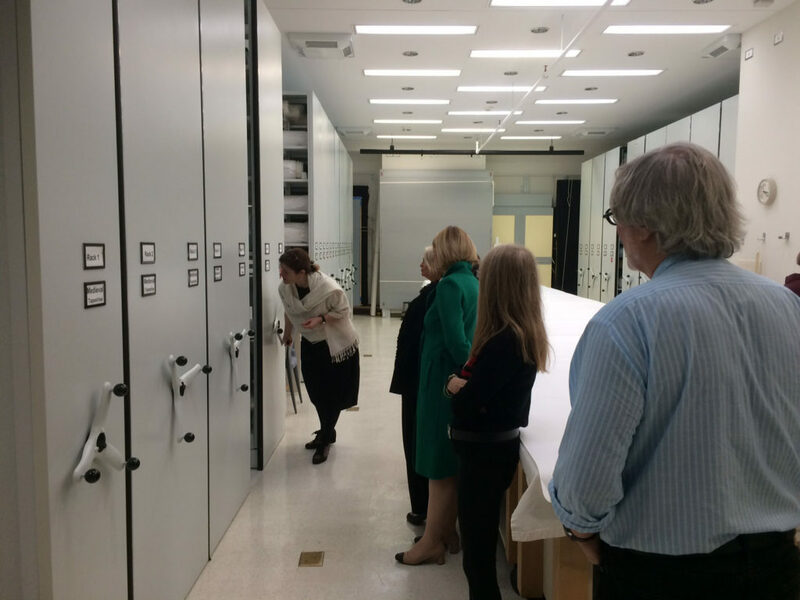 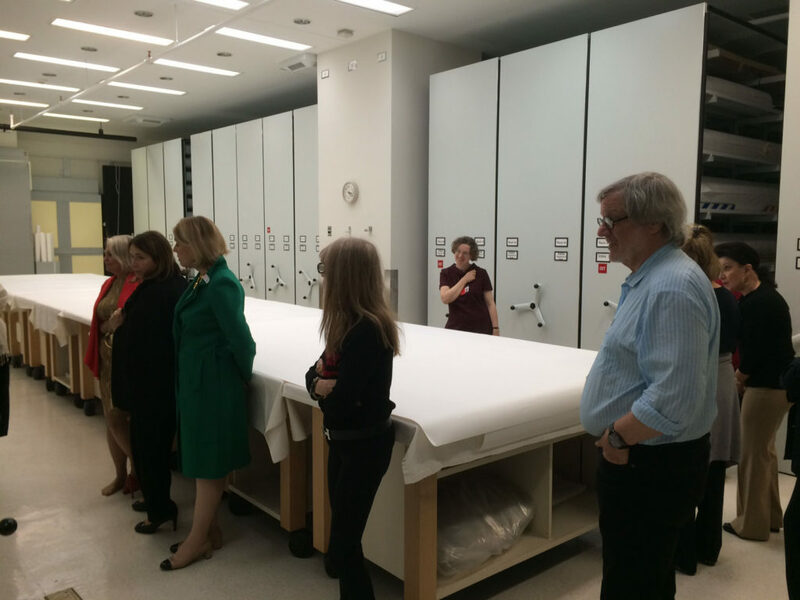 She arranged a behind the scenes tour of the Antonio Ratti Textile Center housed in the museum. 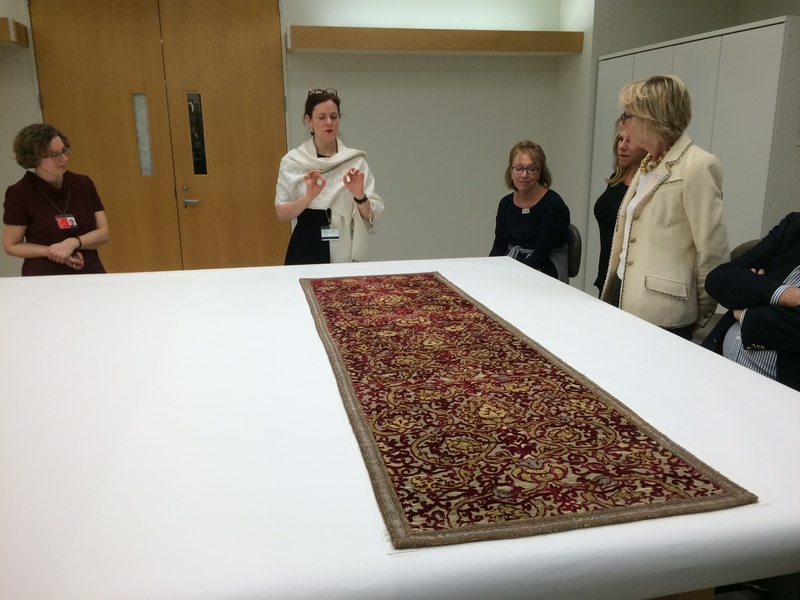 The Supervising Curator and Senior Manager of the center showed the group textiles from the 16th and 18th centuries. 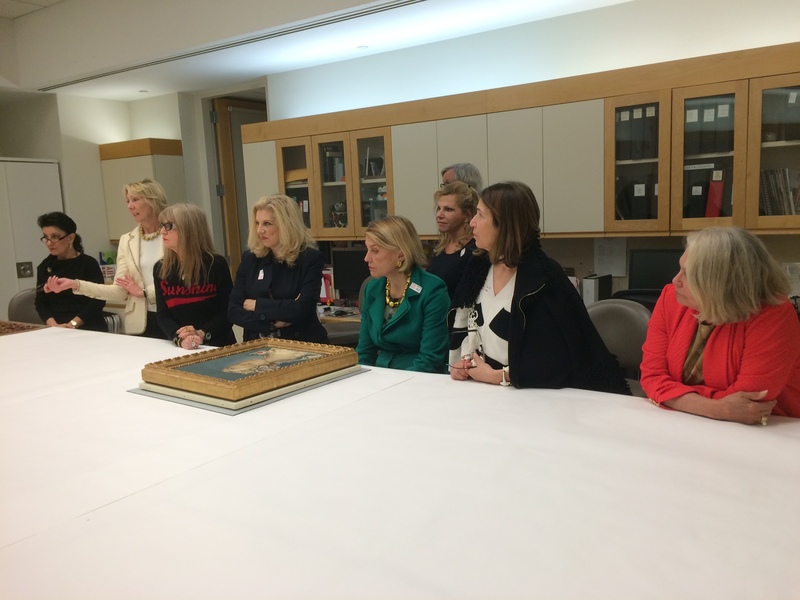 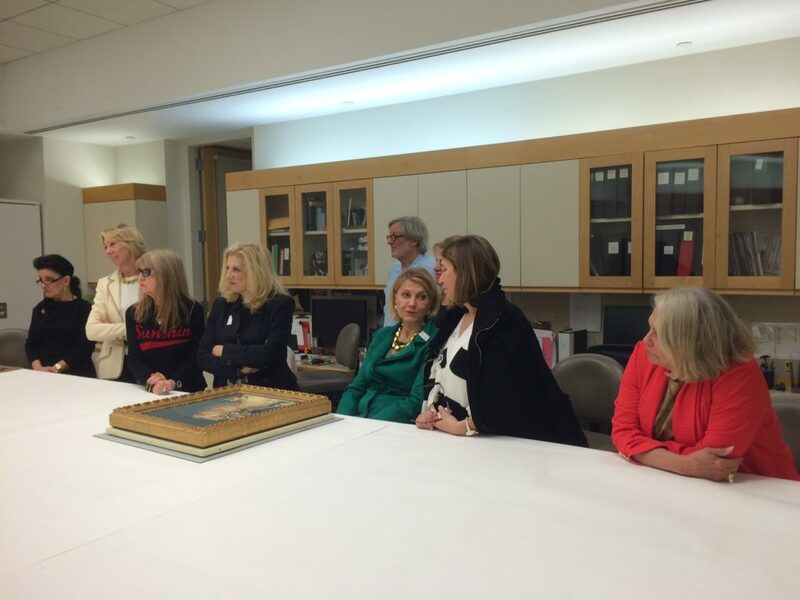 The group finished with a tea in the Members Lounge at the Met. 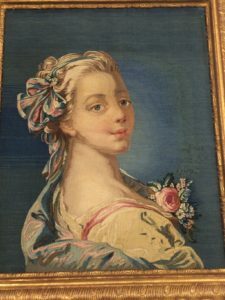 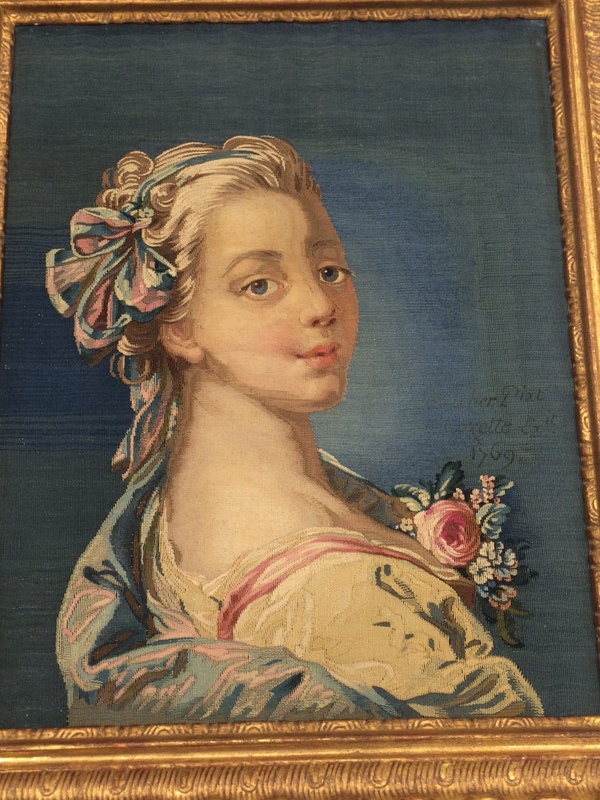 As Associate Curator in the department of European Sculpture and Decorative Arts, she is responsible for tapestries, enamels and northern European glass. 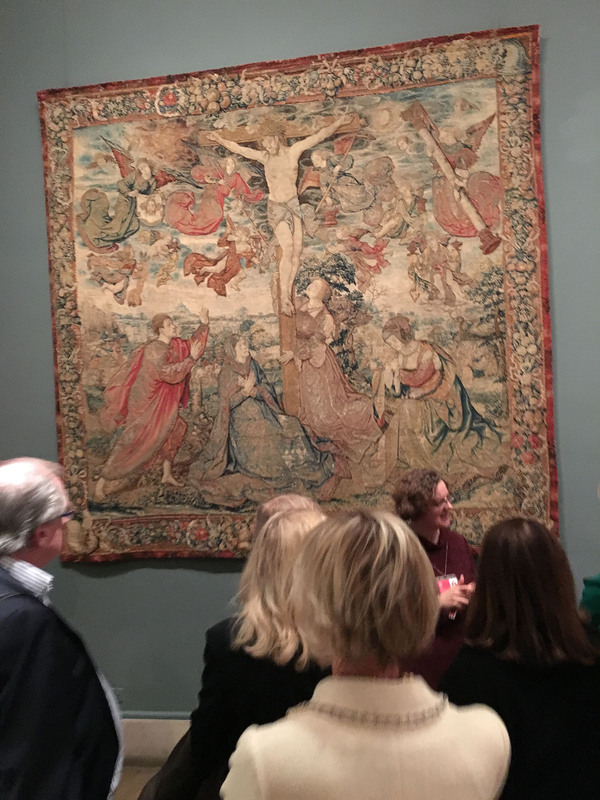 She was lead curator of the major loan exhibition Grand Design: Pieter Coecke van Aelst and Renaissance Tapestry (MMA 2014-15), and editor and principal author of the award-winning accompanying catalogue, which has been translated into Dutch and French. 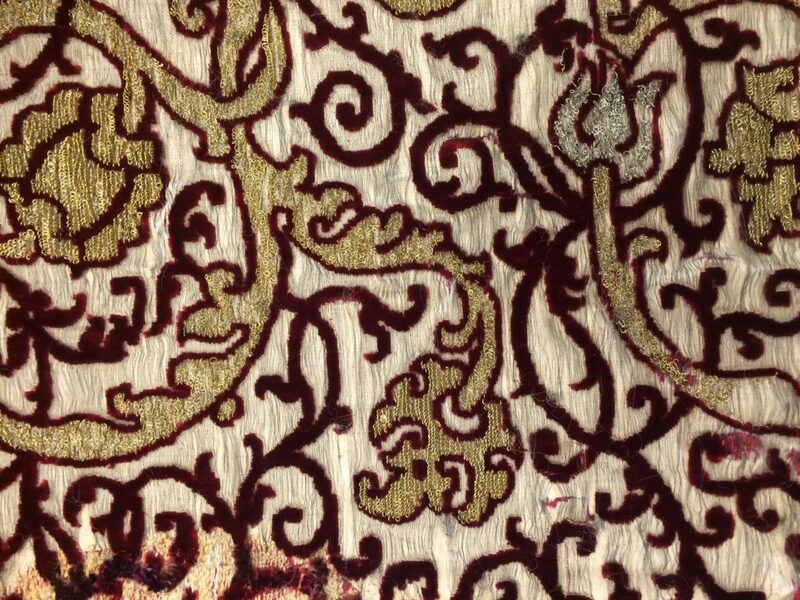 In 2010, she co-edited with Thomas P. Campbell Tapestry in the Baroque: New aspects of production and patronage (Yale, MMA). 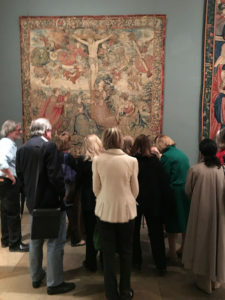 She lectures and teaches regularly, and has published numerous papers, book reviews and articles on fifteenth-, sixteenth-, and seventeenth-century tapestries; she has also contributed to exhibition catalogues (Tapestry in the Baroque; Rogier van der Weyden 1400-1464; Gothic: Art for England; Tapestry in the Renaissance) and to collections’ catalogues of British, American and Canadian museums.